The brutality of the First World War created a generation of fascist leaders, idealistic intellectuals and expressionist artists—according to Anne Applebaum in Iron Curtain: The Crushing of Eastern Europe. But, she goes on, the Second World War “entered far more deeply into everyday life”. It involved not only brutal fighting but occupation, deportation, the mass displacement of civilian populations and constant daily violence which shaped the human psyche in ways that are hard to articulate. During the Nazi occupations respectable citizens no longer regarded banditry as a crime if it was in the service of the underground. Boys from law-abiding families became hardened criminals for whom “the killing of a man presents no great moral problem”. The experience of national defeat and alien occupation is hard to convey to those who have not endured the disintegration of one’s entire civilisation, the collapse of the moral world of one’s parents and teachers, and the failure of respected leaders. Words like emptiness and vacuum are feeble indicators of the abyss into which so many fell. Hannah Arendt saw in it the emergence of the “totalitarian personality”, the “completely isolated human being who, without any other social ties to family, friends, comrades, or even mere acquaintances”, looks to the party and the state for any sense of having a place in the world. Applebaum’s theme is totalitarianism in daily life. The idea of totalitarianism fell into disrepute in the 1970s and 1980s. She believes “it is long overdue for a revival”. It is a necessary concept to explain the crushing of Eastern Europe. One of Mussolini’s critics (Giovanni Amendola) invented the word in 1923 but Mussolini adopted it enthusiastically and gave what is still the best definition: Everything within the state, nothing outside the state, nothing against the state. There is, in a totalitarian regime, only one political party, one educational system, one cultural policy, one centrally planned economy, one united media, and one moral code. “In a totalitarian state there are no independent schools, no private businesses, no grassroots organisations, and no critical thought.” The secret police are there to enforce the totalitarian ideal. The word totalitarianism spread around the world and by the 1940s was regularly used to describe the Nazi and Soviet states. It was a common currency in such famous books as Friedrich Hayek’s Road to Serfdom, Karl Popper’s Open Society and its Enemies, George Orwell’s Nineteen Eighty-Four and Hannah Arendt’s Origins of Totalitarianism. Churchill used it in his famous speeches, it became explicitly part of the Truman Doctrine in 1947, and President Eisenhower drew on it during the Korean War. By this time revisionists and sceptics had begun to question the term as crude and too ideological. No society can be completely totalitarian, these critics said. Yet this was always the view of its theorists: totalitarianism is against human nature in all its manifestations and will not or cannot last. By trying to control every aspect of society, the communists turned every aspect into a potential protest. But the revisionists succeeded in one sense: the term lost respectability and became a loose synonym for authoritarianism. Used in this more or less benign way it misses the ruthless and uncompromising attempt by totalitarian rulers, most famously Stalin, to impose total uniformity on their subjects. Applebaum insists that it is impossible to describe the crushing of Eastern Europe between 1945 (the Soviet occupation) and 1956 (the Hungarian Revolution) without deploying the idea of totalitarianism. As an historian she persuasively restores its centrality. In Part One of Iron Curtain, which she calls “False Dawn”, Applebaum outlines the comparatively benign communist rule of 1944 to 1946. But she also shows how from the very beginning, the Soviet Union imported key elements of the Stalinist system, especially the Sovietised and sometimes Moscow-trained secret police, into the eight nations occupied by the Red Army. They used selective violence targeting listed political enemies. They took control of the ministries of the interior and defence. They also took control of national radio. They harassed and often banned independent organisations—church groups, women’s groups, boys’ and girls’ scouts, youth groups. There was mass ethnic cleansing—displacing millions of Germans, Poles, Ukrainians, Hungarians from towns and villages where they had lived for centuries. Yet there was still in 1944 and 1945 some genuine democracy. Private farming and private business and non-communist political parties and newspapers survived briefly. There were even some free elections—permitted because, strange as it may seem now, the Stalinists thought they would win them. They lost badly in Germany, Austria, Hungary. They lost a referendum in Poland. They did quite well in Czechoslovakia (winning a third of the vote) but when it became clear that they would do badly in a proposed election in 1948, they staged a coup and put an end to any prospect of democratic elections. After these failures the Stalinists adopted a harsher, fully totalitarian program. In Part Two of Iron Curtain, which she calls “High Stalinism”, Applebaum outlines the new Stalinist policies: the waves of arrests and show trials, the expansion of labour camps, and the tighter controls over journalists, intellectuals and artists. Anti-communist parties were eliminated as well as non-communist leftists, non-conforming communists and independent organisations. They attempted to subvert the Catholic and Protestant churches. “They created new, all-encompassing forms of educational propaganda, they sponsored public parades and lectures, hung banners and posters, organised petition signing campaigns and sporting events.” Between 1946 and 1953 the Soviet Union succeeded in radically transforming the entire region from the Baltic to the Adriatic. Applebaum sums up her inquiry: “Above all, I sought to gain an understanding of real totalitarianism—not totalitarianism in theory, but totalitarianism in practice—and how it shaped the lives of millions of Europeans in the twentieth century.” She has succeeded superbly. Wanda Skowronska, in her family memoir To Bonegilla from Somewhere, fills out the story. The somewhere of her title is the postwar European world of Displaced Persons, as they were called then, the hundreds of thousands of refugees from Eastern Europe who knew that if they returned to their native lands they would end up in Stalin’s Gulag. The Bonegilla of the title is the Australian transit camp in north-eastern Victoria through which some 170,000 of them passed on their way to jobs and later to citizenship in Australia. As the DPs stepped off the boats in Melbourne, with their gaunt frames, worn coats, old suitcases and European manners, they faced an Australia of which they knew nothing and which knew nothing of them. They and the Australians exemplified that gulf which Czeslaw Milosz described between refugees whose lives had been shaped by defeat, alien occupation, deportation, death camps and daily violence, and their new Anglo-Saxon hosts, almost all of whom had had no experience of any of these horrors. The newcomers’ first mainland stop was Bonegilla, a railway siding in the bush not far from Wodonga and near a disused army camp which would house them until they left it for work somewhere in Australia. It was here that Wanda Skowronska was born and lived for five years. Her parents found jobs in the camp. It remains for her an indelible memory. It is for me too. I was a student, aged nineteen, when I signed up as a teacher for the summer vacation in 1948–49. The Australia of those days was a now forgotten country—a land of Smithy and Bradman, Peter (and Smoky) Dawson, Stiffy and Mo, the Pyjama Girl, bona fide travellers, CRTS students, deeners, donahs, gramophones, roll-your-owns and Lux Radio Theatre. Then in the middle of nowhere emerged this extraordinary Bonegilla. It was as if, Skowronska says, a space ship had landed in the bush, bringing the flotsam and jetsam of Hitler’s and Stalin’s wars—“Balts” (Lithuanians, Estonians, Latvians), Hungarians, Czechs, Ukrainians, Germans—all desperate, penniless, still fearful of the Soviet Gulag, all more than willing to work. For Skowronska as a child Bonegilla was a kind of Eden, “a melange of European manners, possums, open land, stories of intense and remembered worlds from far away”. For me, it was a strange new Australia, the beginning of multiculturalism (although the word had not yet been invented). It was not just that the men wore hairnets and schoolgirls walked the tracks arm in arm. The lingua franca was German, with loudspeakers (“Achtung! Achtung!”) for camp announcements and some entertainments. There were also ethnic tensions, camp informers, infidelities. It was for me a formative and transformative experience. The tireless sponsor of it all was the Minister for Immigration, Arthur (“Populate or Perish”) Calwell. He welcomed these exotic foreigners and urged all Australians to follow his example—and to dismiss any “wicked” allegations about their background in Hitler’s Reich. (It was easy enough for a few Nazi collaborators to slip through the immigration nets designed to catch them, but they were a tiny, almost insignificant minority.) The teachers or “instructors” in Bonegilla took Calwell’s advice. We urged the DPs to become British subjects as soon as possible. Skowronska develops her theme with the story of her Polish father Bogdan and Latvian mother Valerie. You cannot understand the earliest Polish DPs without some awareness of their role in the great Warsaw Uprising of 1944, the biggest military action ever undertaken by any anti-Nazi resistance movement and one of which little is known to this day. It lasted about two months. Skowronska’s father, then a boy of sixteen, was among the 50,000 insurgents in the Polish Home Army. Meanwhile across the Vistula the Red Army waited and watched, determined to see the Nazis destroy the Polish resistance before it crossed over. The Nazis killed some 200,000 Poles and, on Hitler’s orders, destroyed historic Warsaw, building by building. George Orwell was one of the few journalists, in a British press heavily influenced by communist moles and fellow travellers, to draw attention to the Polish tragedy. The Nazis drove some 800,000 Poles out of Warsaw. Wounded and emaciated, they limped their way to the West. Some lived on in the margins of society. Some went mad. Others like Bogdan finally found a haven in Australia. Small wonder that from Bonegilla he closely followed the battle of Dien Bien Phu in 1954. Wanda Skowronska’s mother Valerie survived two foreign occupations of Latvia—in 1940 by the Soviets (who deported 35,000 Latvians to Siberia in cattle trains) and in 1941 by the Nazis (who exterminated 90,000, including 70,000 Jews, 18,000 Latvians and 2000 gypsies). As the Red Army drew near in 1944 she escaped to the West where, bombed in Hamburg, she was left for dead. She miraculously survived. In 1950 she arrived in Bonegilla, a few months after Bogdan. They married in Bonegilla in 1951. Wanda was born soon afterwards. The town of Bonegilla is now demolished. The wind blows over the old streets, mess hall, pit toilets, movie theatre, canteen, banks, school. Only Block 19 still stands—a national heritage site, a sort of Ellis Island museum without the hype. It touches anyone who had any experience of it, especially the DPs. Wanda Skowronska reminds us all of that gulf of which Czeslaw Milosz so grimly wrote and of how Australia bridged it. 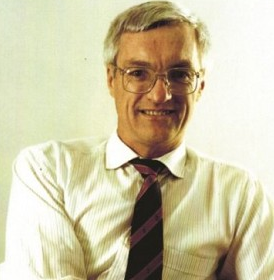 Peter Coleman is a former member of both the New South Wales and Commonwealth parliaments, and a former editor of Quadrant. His latest book is The Last Intellectuals (Quadrant Books).